Back to sport after knee operation by Dr Rembeck. Ali Khaseif, the goalkeeper at Al-Jazira (Abu Dhabi), is fit once again and looking forward to a successful new season. 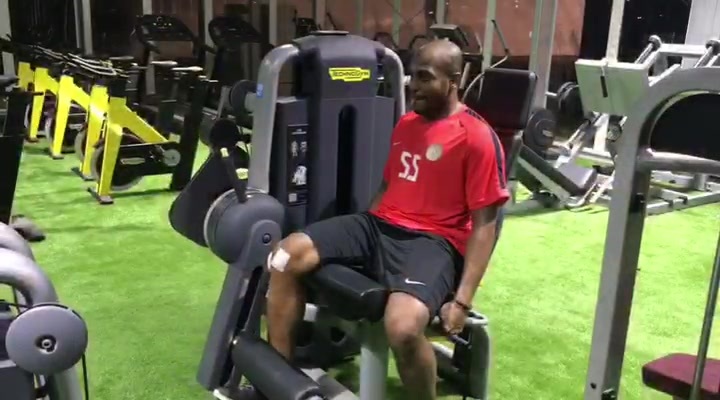 After injuring his knee, Ali Khaseif, goalkeeper of the Emirati football club Al-Jazira (Abu Dhabi) and Goalkeeper of the Year in 2017, placed his trust in the experience and expertise of knee specialist Dr Erich Rembeck. After a successful operation, Ali Khaseif is fit again and ready for the coming season. Al-Jazira (Abu Dhabi) is one of the most successful football teams in the United Arab Emirates. Over the last decade the team has gone down in the history of Emirati football and is the reigning champion of the UEA Arabian Gulf League. The UAE Arabian Gulf League is the highest football division in the United Arab Emirates. It was founded in 1973, and today it is one of the most popular and best leagues in Asia.